Reserved until July 15 ? The last reservation of this item will conclude on July 15. For rentals that require shipping or a pickup at a non-headquarter location, please select a later date for your arrival. Headquarter offices are the only locations that can accept a same-day reservation, as transit time is not calculated in this date. The Panasonic Lumix G Leica DG Summilux 15mm f/1.7 Lens sports the sophisticated optics you'd expect from the Leica branding and a compact form factor suitable for portable Micro Four Thirds setups. 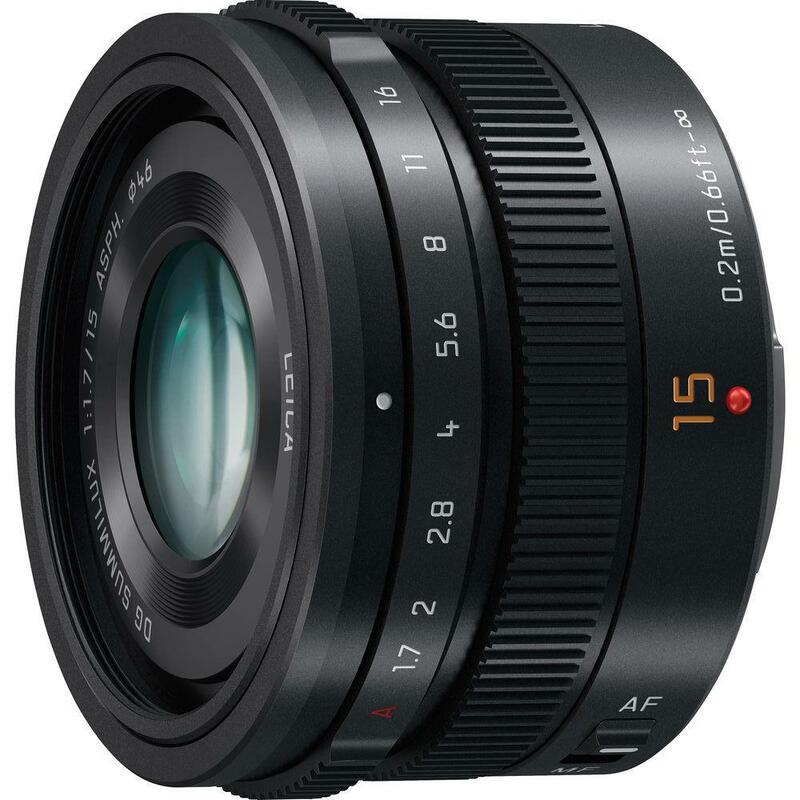 The fast f/1.7 maximum aperture allows for working in low-light conditions and also provides greater control over the focus position for shallow depth of field and selective focus techniques. An internal focusing system, coupled with a stepping AF motor, results in fast, smooth, and precise focusing performance that is well-paired to both still shooting and movie recording. The Panasonic Lumix G Leica DG Summilux 15mm f/1.7 lens is ideal for wider group shots, landscapes, and street photography. • This lens is compatible with Micro Four Thirds mount cameras. It is not compatible with Four Thirds mount cameras. The focal length equivalent in 35mm format is 30mm.